You’re the entreprenuer who does it all, but every wonder woman needs some support! This workshop is for the business owner who is looking to seriously scale her business in 2019 but is looking for direction. If you struggle with finding a direction for your marketing or need to tighten up your plans and goals for marketing, this workshop will give you the marketing strategy to get your business to the next level. RINGLET’s Marketing Strategy Workshop will work with the 8-12 participants to define their business's brand identity, develop messaging, determine customer segments, create a plan of action, and give attendees a general understanding of how to interpret marketing data in order to strategically pivot. Our FIRST pop-up Bouquet Club at Fostr Collaborative. Connect and create through flower power! Bouquet Club is a blossoming concept in floral fun. Gather, make merry and take home your very own luxury bouquet. We lead you stem by stem in a flower arranging workshop that sparks joy and good vibes only. Celebrate our launch and March feature in Home & Design Magazine. Mix and mingle with fellow floral explorers. Spring is coming! Grab your friends and a cocktail. We'll make all the arrangements! Hosted by Co-Founders Tess Finnegan & Liz Levin. How to use Lightroom to edit your photos and make them POP! You guys, Lightroom is hard, let's make it easy! 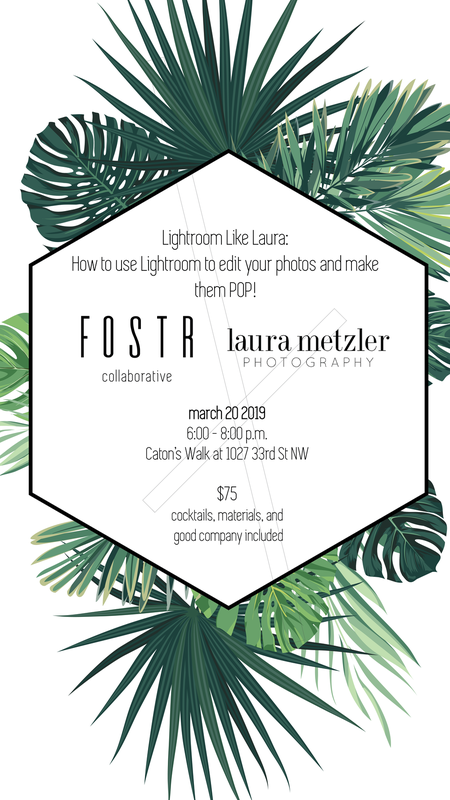 Laura Metzler Photography will go over all the basics of Lightroom including importing & exporting, organization, batch editing, specialized edits, and even the app, so you can make sure your instagram is lookin fresh! Bring your laptop (with Lightroom!) and your questions! This class is primarily for beginners. Join Shannon Claire Interiors to learn how to expertly mix and match the trendiest colors and patterns to make your space POP! She will talk you through how to build a palette, select the perfect shade and then intergrate patterns to bring the vision to life. 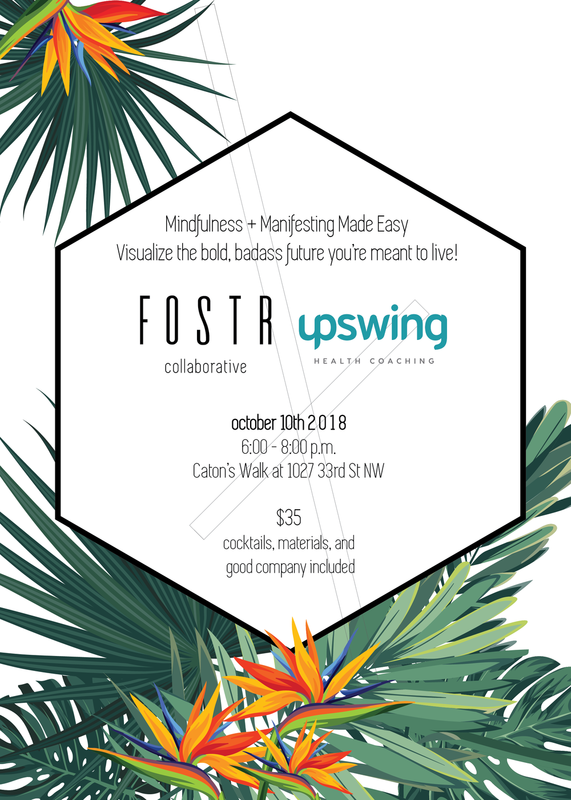 Lauren Louise and Adam Mason, two local, creative business owners in Washington DC are hosting an "Ask Us Anything" event in partnership with Fostr, a co-working space located in the heart of Georgetown. We'll be bringing the community together (for free!) to answers any and all questions about running a successful, creative business. It'll be casual but we'll be hitting you guys with a ton of really useful, impactful information for entrepreneurs at all levels. We'll cover topics from branding to SEO to social media to accounting - nothing is off limits! You guys bring the questions (you'll even be able to send them in ahead of time!) and we'll bring the answers, wine from our friends at District Winery and some amazing resources and freebies from our partners. You'll be walking away with coupon codes from brands like Framebridge, Tave (client management), ShootProof, Photo Mechanic (free copy! ), JPEG Mini, FORTH (an insane business resource guide), Amy Northard (The Accountants for Creatives), Caskro Studios (pricing guides), and Studio Antheia (local graphic designer)! We'll also be giving away TWO FREE mentoring sessions with Adam and Lauren! This workshop is for the busy professional who needs to spend less time on web copy, email, newsletters, or social media while maximizing the impact of their messaging. We hear constantly from professionals—especially busy business owners—that writing is a pain. Yet it’s more important than ever, and more difficult, to get your message to readers amid all the scrolling, clicking, and skimming. This writing workshop will help you maximize the impact of your message, teaching you to write faster, use fewer words, and get the most out of the words you share. We’ll teach you proven writing and editing techniques—used by pros at Fortune 500s and the U.S. Special Forces—and help you understand how your audience reads online so you can craft emails, newsletters, web copy, and social media captions that grab readers’ attention and get to the point quickly. What you’ll get: a writing checklist tool to guide your process, a discount on writing coaching and consultation with Bold Type consultants, and a promo code for an online writing course. 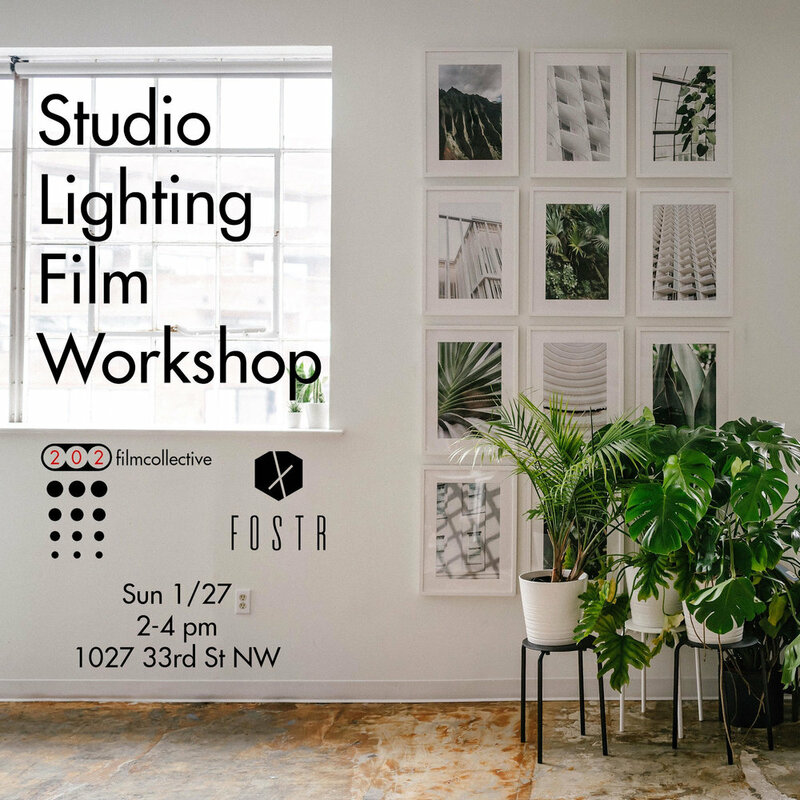 202filmcollective and Fostr Collaborative are teaming up to bring to you a studio lighting workshop for film photography. The workshop will be held at the Fostr Collaborative studio (1027 33rd St NW in Georgetown) on January 27th from 2-4 PM EST. 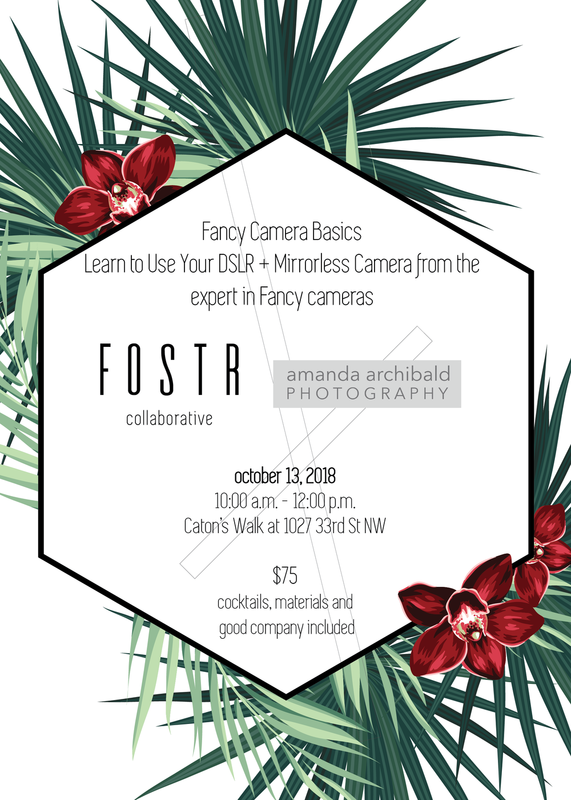 We will instruct participants on how to meter for flash, some basics on artificial lighting, and how to check exposure results the old-fashioned way (hint: use instant film!). Due to limited space, we are requiring registration, but the sign-up is free. Also, because space is limited we are requesting that participants only shoot film for this workshop. Please contact us with questions regarding equipment and more details at 202filmcollective@gmail.com or @202filmcollective (Instagram). What are the essential elements of promoting, marketing and selling your work? Please join us for an interactive session covering the business of sustaining and growing a visual arts practice, including branding tactics, effective marketing materials and sales strategies. By the end of the hour, you'll walk away with information that you can utilize right away to enhance your business and client base. Danielle is the Founder and Principal of Client Raiser, a business dedicated to helping artists to increase their client volume and the visibility of their art. Since 2014, she has worked with nearly 100 artists across the country in support of their professional goals. Emerging and established artists alike begin with Client Raiser’s in-depth interview process, which results in a tangible assessment of their art practices and concrete next steps for advancing their careers. Get crystal clear on how to visualize and manifest the bold, badass future you’re meant to live, with holistic health coach and owner of UpSwing Health Coaching, Megan Sanchez. Feeling sluggish, stuck…maybe a little lost? Learn how to squash limiting beliefs and manifest a vision for YOU- right now. In this workshop, you’ll discover how to flex your positive mental muscles by visualizing desired outcomes and embodying future success for your health, career, relationships, finances and spirit. Manifesting goals isn’t hocus pocus. It’s about clearly communicating with the universe, taking note of the power that’s already within you and tapping into existing resources. After developing your own road map for manifesting the year ahead, we’ll set you up with the tools to revisit your vision and continue chasing your goals. In addition to the motivation to take action, you’ll walk away with a personalized notebook filled with prompts on daily intention setting so you can record and celebrate your success every step of the way! Enjoy delicious, rejuvenating Switchel from DC’s own entrepreneurial team at Sip City and immerse yourself in essential oils from Holistically Healthy Home. It’s never too late to get head healthy and maximize your potential! - All skill levels welcome! From beginner to pro! Sometimes (possibly all the time) it's hard to set aside for yourself! To say yes to a couple hours or calligraphy and wine, so we've made it easy for you. Join Calligraphetteco & Co. at Fostr Collaborative for Calligraphy Club on September 12, from 6-8! The club will be a relaxed space to practice or work on a project and ask any questions you may have. We will supply wine and guidelines (if you just want to practice), and you bring anything else you need. C & Co. is happy to help you purchase any supplies you might need (fun colored ink, a nicer pen, extra nibs). C & Co. will bring a chalkboard to demonstrate anything you'd like to see larger than life, and a pointed pen for demonstrations up close. We can tackle questions in capital and lowercase letters, flourishes, pointed pen v. brush calligraphy, how to execute projects, and how best to practice! Ashlee Hightower specializes in creating contracts for creatives and she wants to share her tips and tricks to creating contracts that serve their purpose. Lear how to craft a contract and what to use when with this workshop!